Home / Need Help? Have Questions? Ask your question or let us know how we can help. Make sure to leave good contact information so we can get back to you quickly. My tinnitus started as a side effect from aspirin and took on a life of it’s own and I felt very frustrated and scared that I would have to live with for a very long time. After listening to the tinnitus cd the first week I saw improvement. I was able to go to the dentist which made me very anxious as I was concerned my dental procedure would exacerbate the tinnitus but it did not. After listening to the cd for three months the volume and tone changes improved and my tinnitus stopped. 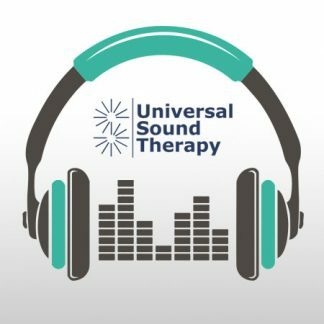 I am so thankful for Universal Sound Therapy and highly recommend trying it because it helped me and it can help you. I have a Macular Pucker with eye inflammation. I have been seeing a Retina Specialist and it is worse each time I go for a scan. The Doctor said if it keeps worsening, that surgery would be necessary to remove the membrane. I started the therapy for Eye Support two months ago, three times a week as instructed and had another eye scan two days ago. The doctor said the Inflammation was less and the Pucker was stabilized. I was having eye scans every two to three months, and now, I do not need to go until November. I will continue the therapy until that time to see if there is more improvement. Stay tuned for updates.